SCOE: Resources: Instruction: Next Generation Science: Blog: Exploring NGSS: The Times Are a-Changin'... So What Will You Do? The Times Are a-Changin'... So What Will You Do? Recently, I had the privilege of attending a retirement party for my mother who’s finishing a twenty-five year teaching career. At the end of the evening, she gave a speech recounting what she’s seen and the lessons she’s learned. It comes as no surprise to any educator that lesson number one was to be flexible and open to change. During more than two decades of teaching second grade, my mom has seen shifts from Whole Language to No Child Left Behind to Common Core. She’s learned and implemented seven math programs (though interestingly only two science programs in the same time). She’s watched the demographics of her school shift and the needs of her students change. And in the course of twenty-five years, often to her dismay, my mom has watched technology in the classroom advance dramatically. While my mom’s words about change and flexibility weren’t surprising, what blew me away was her proclamation that in retirement she wants to learn how to code, something she wishes she’d done with her students. That coding and computer science should be a priority in school isn’t a new idea. In December, I had the chance to speak with former students who are now pursuing banking, theoretical physics, and neuroscience (I know, such slackers), and they shared that they wish they’d had more computer science in school, because they all need it for their careers. Similarly, when I asked NASA scientists what was missing from their school experiences, they all agreed they would have benefited from learning to code, because they’ve had to teach themselves on the job. The surprising thing about my mom’s proclamation was that these words were coming from a person who still calls for help while navigating the TV remote and asks second graders for assistance with classroom technology. But, on reflection, this new goal encapsulates part of why my mother has been such an amazing teacher: rather than be content with what has been and might be considered “good enough,” she consistently researches best practices and tries whatever’s next in education. As she’s transitioned between seven math programs, she’s always been game to try the next one while keeping the best parts of the old ones. In the past few years, she’s attended trainings on STEAM and maker education even though she knew she’d retire soon. Even this year, I’d get calls from her asking for clarification on new science topics she was introducing or ideas for maker projects she could do with students. In a world and educational system that’s always shifting, she’s embraced change while continuously keeping her eye on the students in front of her and how to serve them best. So it should have come as no surprise to me that even at the end of her career there’s more my mom wants to learn and more she wishes she could have done with students who are growing up in a world that’s rapidly changing. The idea that “the times are a-changin’” is, of course, not a new one. 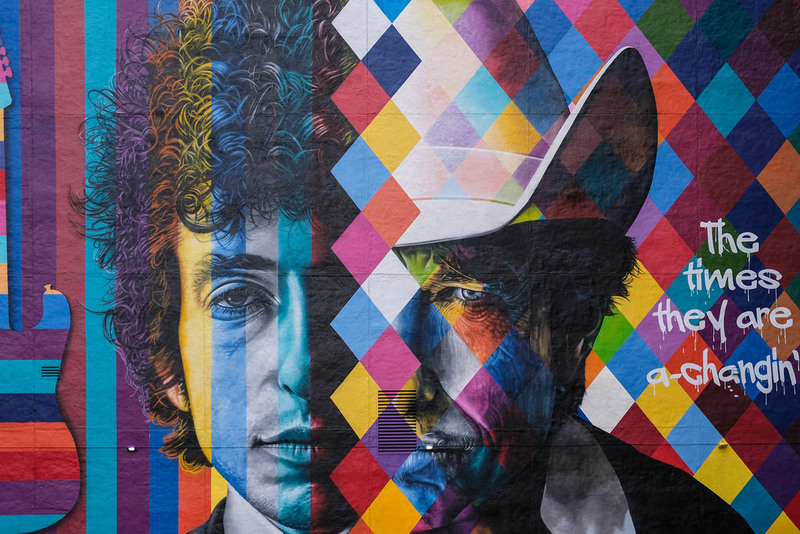 There’s a reason why Bob Dylan’s lyrics ring true in so many decades and circumstances. They were felt deeply when he opened a concert with the song in 1963, the day after President Kennedy was assassinated. They were equally appropriate when Steve Jobs recited them in 1984 while unveiling the Macintosh computer. And they were just as poignant when Jennifer Hudson sang them on March 24, 2018 as part of the student-led March for Our Lives in Washington D.C. The times are always changing. There is always darkness and uncertainty, and there is always hope and possibility when people dare to thoughtfully embrace change and a different future. The question people face at whatever moment of change in which they find themselves is what action to take in that changing time. We are in a particularly interesting moment of change in education. There are significant shifts in how we think about learning and student demonstration of understanding. We have the Common Core State Standards, the Next Generation Science Standards, a new California History Social Science Framework, and new approaches to supporting English Learners and special education students. All of these reflect an attempt to do what’s best by students in a rapidly changing world, but the sum of these changes for schools and classrooms can feel overwhelming. We also have new systems of accountability emerging, new ways of examining how students engage with their learning, and changing leadership and funding structures. And all of this is just at the educational system level. There’s even more national and global change afoot that impacts students and classrooms. Technologically we’re advancing rapidly, and there are new possibilities every day. We now live in a world where Google can call a restaurant for you and make a reservation. Soon in the field of AI (artificial intelligence), it might even be possible to fuse neurons and circuits. Research shows that in real time the use of technology such as iPhones is rewiring our brains. We now remember where to get information instead of what the information is. On a social level, we live in a time where students don’t necessarily feel safe in school, but they are finding their collective voice to advocate for systemic change that might make schools safer. We also live in a time when industry is advancing so fast that we are preparing students for jobs that don’t yet exist. As in all moments of change, it’s difficult to see exactly where we’re headed. In Dylan’s words, “don’t speak to soon, for the wheel’s still in spin.” But as educators we do have to decide how to respond in this moment. 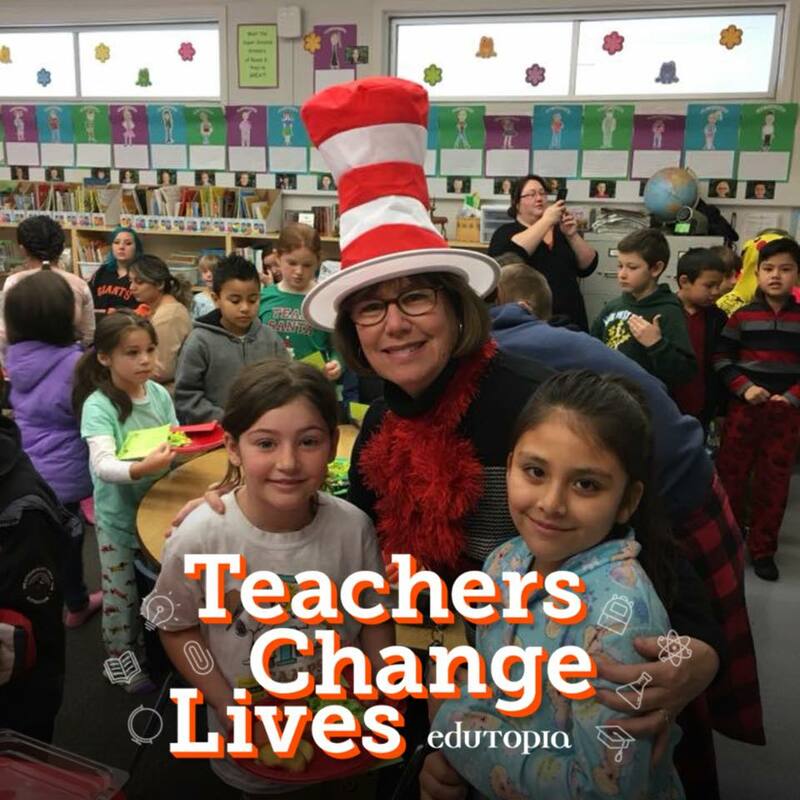 First, teachers need to determine what changes to make in the classroom to both address the immediate needs of students and prepare them for a shifting world. If we know that most majors and careers require integration of content areas, innovative thinking, collaboration, and, apparently, coding and computer science, how will we creatively infuse these into classes? At the same time, what can we learn and do in order to support vulnerable populations and address things like childhood trauma that are appearing right now in classrooms and can hinder individual students? We also need to consider new instructional strategies such as starting with inquiry rather than vocabulary to support language development, and we need to think about how to change the physical structure of classes to accommodate learning styles and provide choice. As educators, we are also in a unique position to shape large-scale change. What we do now with students can literally direct where the world is headed. And so we also have to reflect on how we want the world to change and prioritize this in classrooms. You might decide that it’s important for all scientists and engineers to consider not only what they can do but whether certain things should be done and how their actions will impact individuals. In that case, including discussions on ethics and experience engaging in empathy interviews is needed. You might want to live in a world where people feel empowered to speak out for and protect those who can’t speak for themselves. Then students need the chance to speak out now in the classroom as well as consider the perspectives of people with different experiences than their own. The times, as always, are a-changin’. The 1960s, when the song debuted, saw us reaching for equality and the moon. The 1980s, when Steve Jobs quoted the lyrics, launched a time of unprecedented technological growth that has shaped our lives today. The 2018 reprise in D.C. represents a line drawn in the sand by students who want the world to go in a different direction. Education and the world are both in flux. And you have a choice about how you will respond. One thing I appreciate about the school system is that there’s a distinct ending and beginning, and as we transition from one to another, change is invited. So, as we break for summer, I encourage you to reflect on how the times are changing and what role you want to play. My mother is finishing her career still trying new things and will learn to code. What will you do?